Once the Zhen Hua 28 docked at Pier 4 last week, it was time to do some heavy lifting. 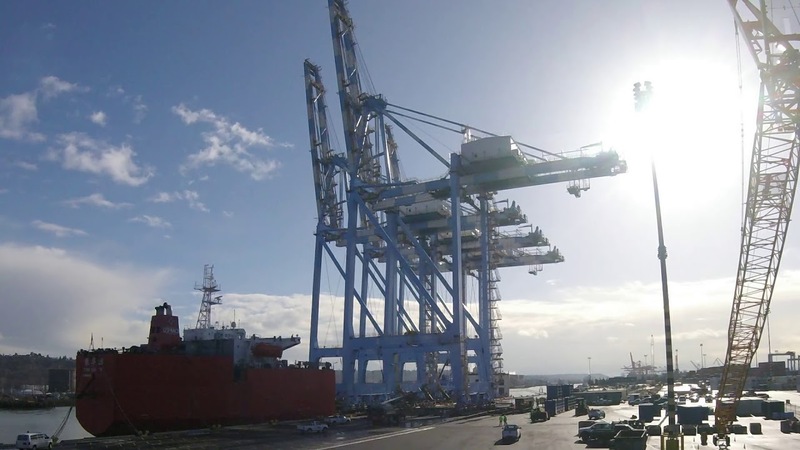 With the help of our friends from Port of Tacoma, ZPMC, Harbor Industrial, ILWU Local 23 and Husky Terminal, we successfully offloaded all four cranes, weighing 3.5 million pounds apiece. We’ll commission the cranes and conduct training over the next few months. We expect all four cranes to be operational by June. Here’s a quick video we captured throughout the week.